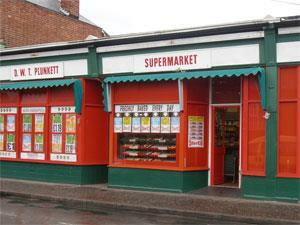 DWT Plunkett Discount Store in the village of Caister-on-Sea near Great Yarmouth is a long standing family run discount food store with groceries and frozen foods at bargain prices and renowned for its daily freshly baked sausage rolls. On arrival in Great Yarmouth follow signs for the A149 towards Caister-on-Sea, proceeding straight ahead at the Yarmouth Stadium mini roundabout into the village. Take a right turn at the next mini roundabout onto Tan Lane where Plunketts Discount Store is located immediately on the left hand side.